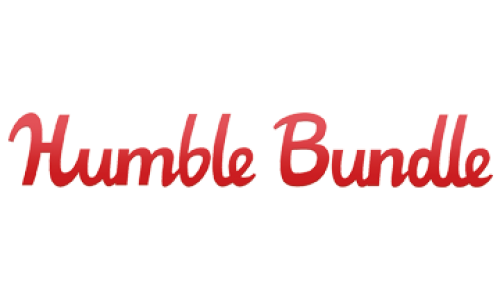 Humble Bundle is a distribution platform that offers games, software, ebooks, and more at a heavily discounted rate. 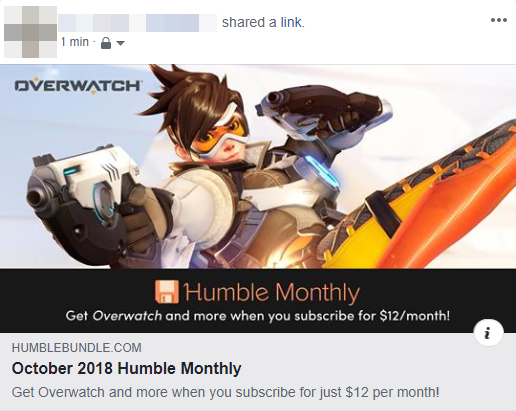 Offering multiple bundles a month, you are able to choose how much you spend and how much you will receive. 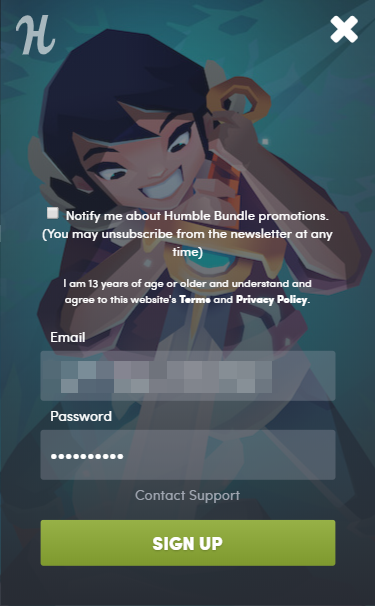 Upon checkout, you can allocate how much of your total purchase will go to Humble Bundle and charities. 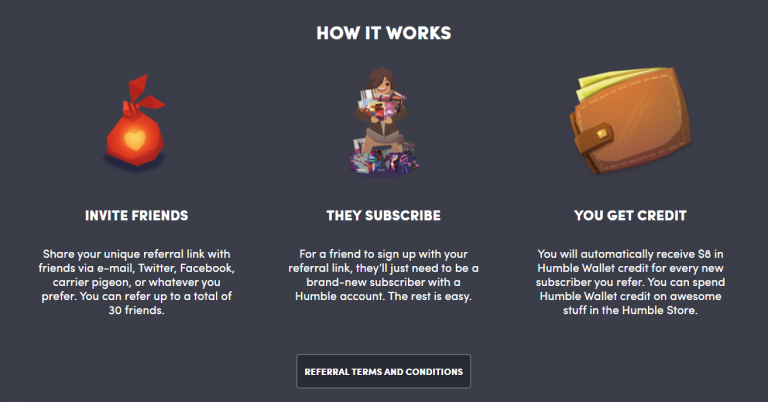 This $8 reward can go far with the Humble Store’s prices already heavily discounted. While this is fantastic for the participant, the referral is not shown any different treatment than if they would have just stumbled on the website. 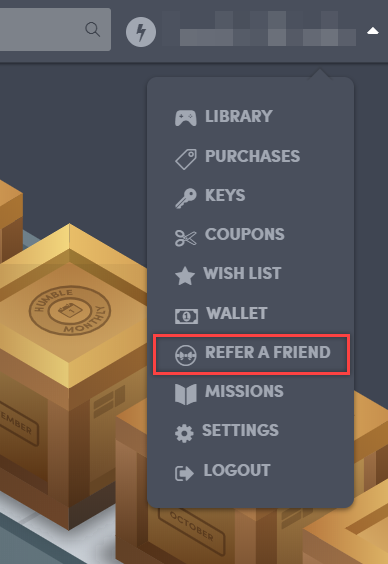 We would recommend adding personalization and photos to the participant’s sharing options, as well as a unique experience to entice the referral if not a reward itself. Participants are rewarded with an $8 credit towards their Humble Wallet when their friend purchases a Humble Monthly subscription.